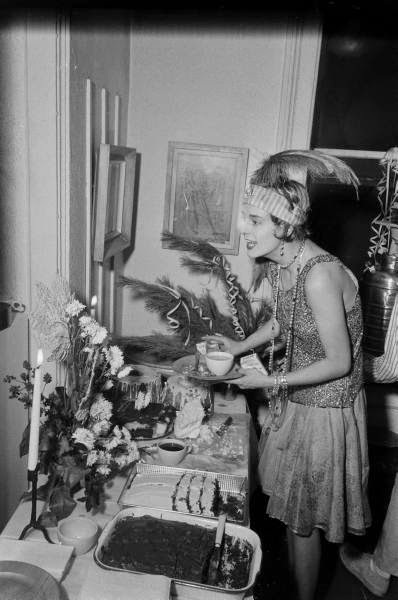 1920s parties seem to be especially popular lately, which, of course, as a wannabee flapper I couldn't be happier about. 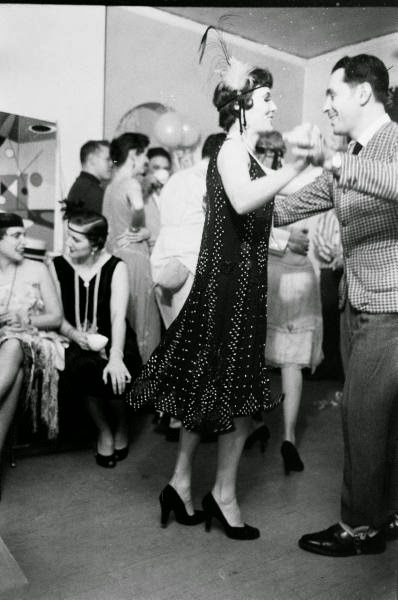 The look and popular culture of the era hold a strong appeal-- distant enough to romanticize but close enough to relate to. 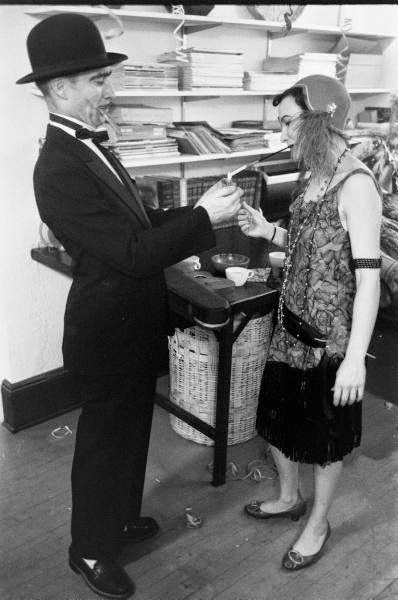 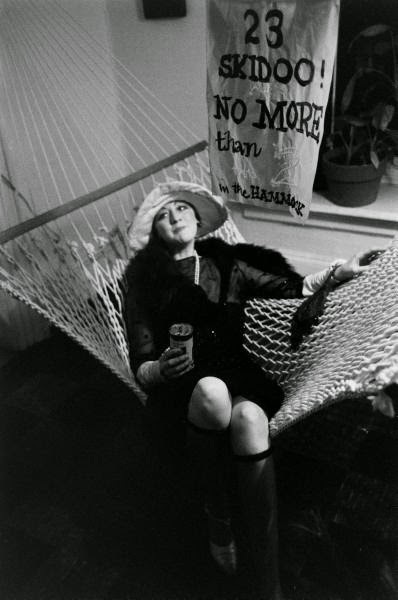 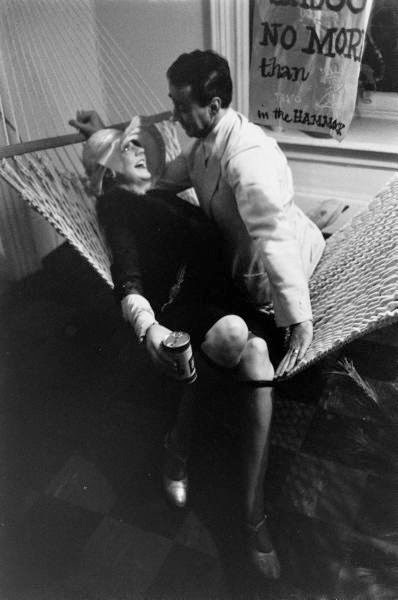 The idea of Prohibition is easily turned into pretend naughty fun. 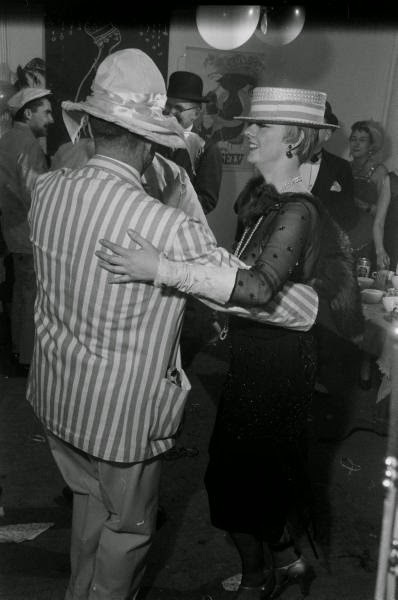 And who doesn't love sparkly dresses, stripey jackets, boater hats, and pearls? 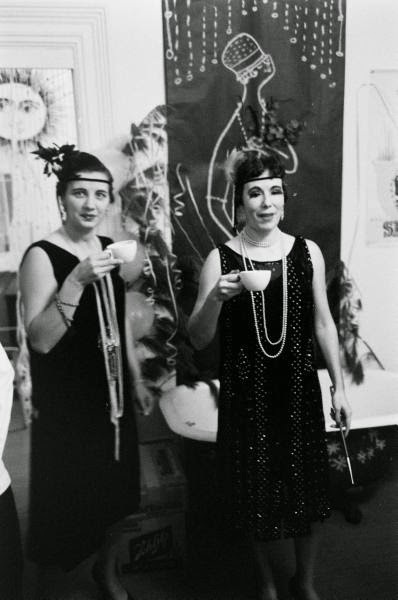 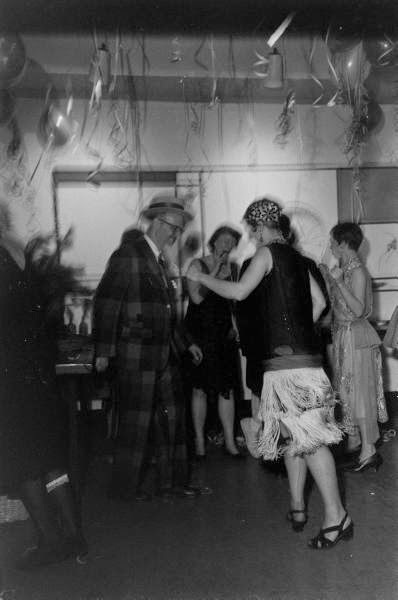 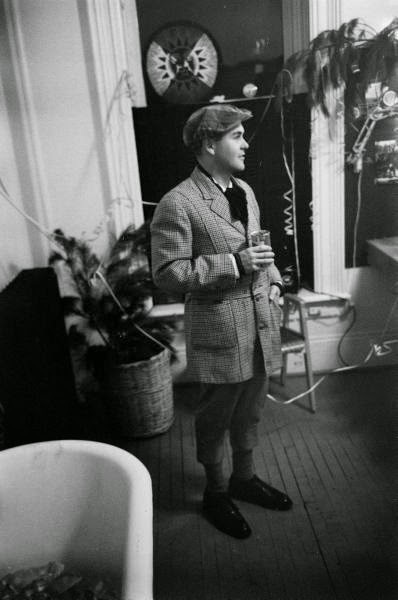 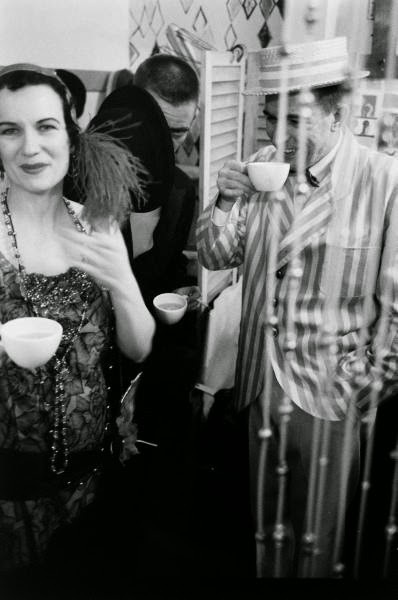 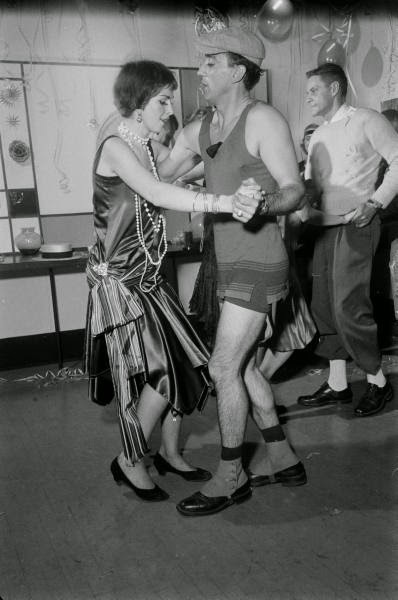 In fact, the 1920s party potential was already being seen by the 1950s. 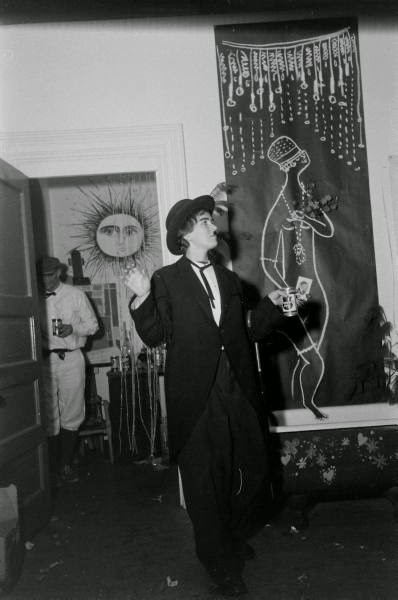 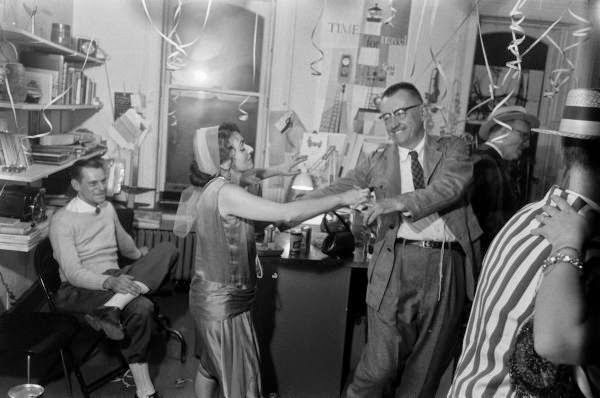 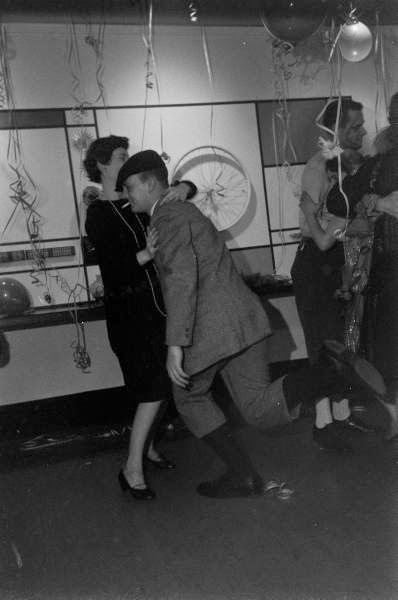 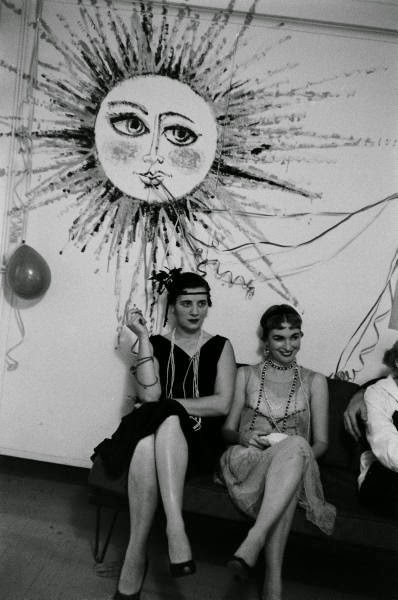 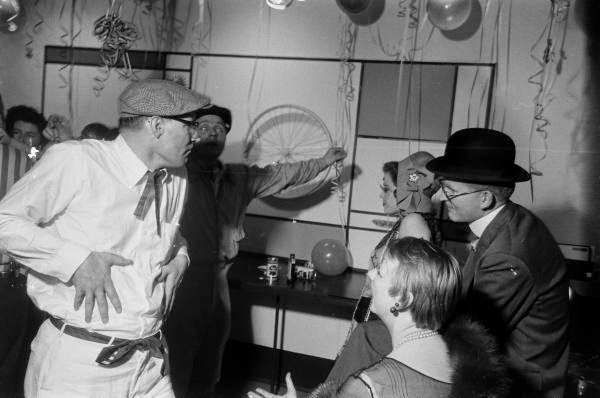 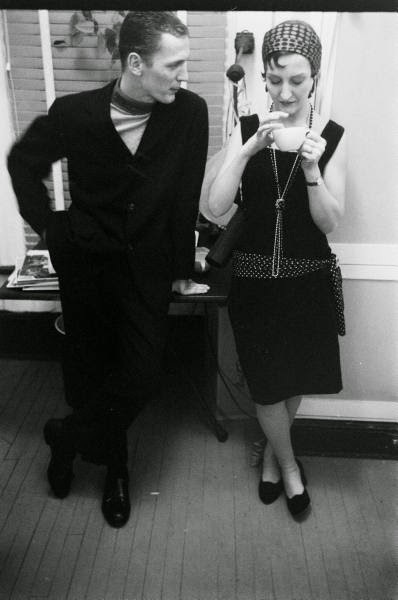 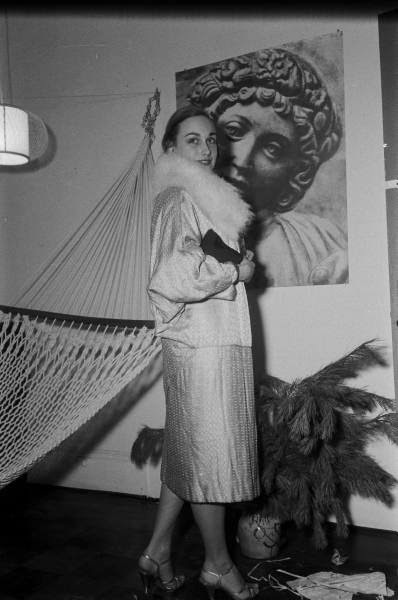 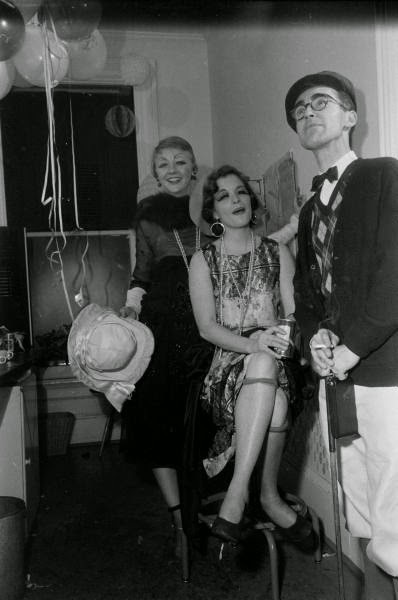 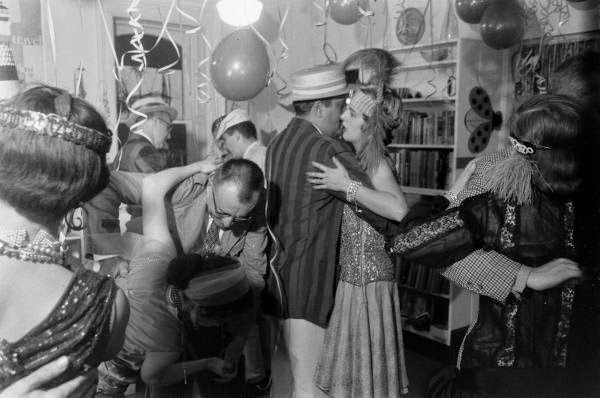 In these photos from 1954, partygoers have gone all out in their costumes (which, considering the decade only ended 24 years ago, are more than likely actually from it). 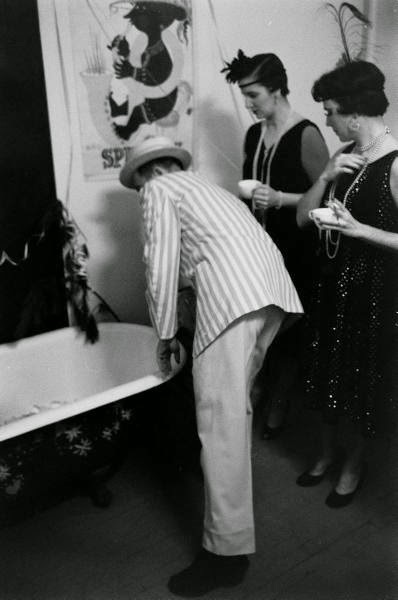 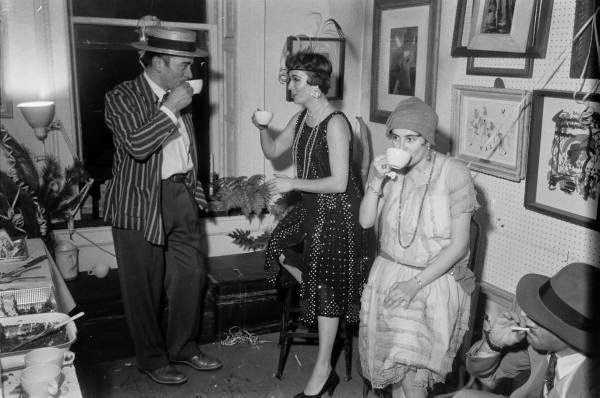 Drinks are being sipped from teacups (though eventually many of the people give up and turn to cans of beer), a bathtub is used as a decoration/liquor holder, the ladies roll down their stockings and the men wear spats. 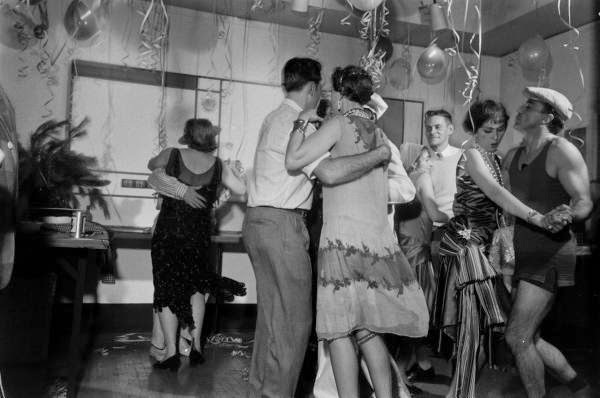 I find it especially interesting to see considering that most of the people there were probably born in the 1920s, or slightly earlier.... it's the equivalent of a 1980s or even 90s party today!